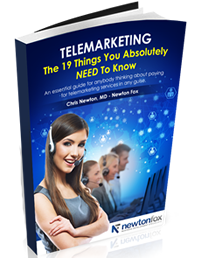 In the world of business to business telesales, you will find that Newton Fox are the ray of sunshine. Home / Sophie's Posts, Telesales Tips / Newton Fox; a ray of sunshine in the world of business to business telesales. The wind and the sun argued one day over which one was the stronger. Spotting a man travelling on the road, they sported a challenge to see which one could remove the coat from the man’s back the quickest. The wind began. He blew strong gusts of air, so strong that the man could barely walk against them. But the man clutched his coat tight against him. The wind blew harder and longer, and the harder the wind blew, the tighter the man held his coat against him. The wind blew until he was exhausted, but he could not remove the coat from the man’s back. It was now the sun’s turn. He gently sent his beams upon the traveller. The sun did very little, but quietly shone upon his head and back until the man became gradually warmer and warmer until so warm that he took off his coat and headed for the nearest shade tree. Often Telemarketing companies will book very forceful, aggressive appointments. They will be pushy leaving the potential client a feeling of no way out. This can also result in bad quality appointments where the potential clients will have no use for the service/product. That isn’t how we work at Newton Fox. We realise that Gentle persuasion, patience and persistence is stronger than force. Newton Fox will build relationships with companies on our clients’ behalf. Often we need to make more than one phone call to find out the name of the decision maker, then again to get hold of them. Once the decision maker has been reached it frequently takes more than one rapport building conversation to gain all the details in order to qualify an appointment, they may want to view a website, or receive further information via email. We remain constant, persistent and tenacious in order to pin down a good quality appointment. This is why companies choose Newton Fox, as opposed to their direct sales staff who don’t have the time or patience to be persistent and gentle. The result is good quality appointments where the potential clients feel at ease with your company; familiar and more likely to trust you. This is the art of a good telemarketing company, and out there in the windy world of business to business telesales, you will find that Newton Fox are the ray of sunshine.